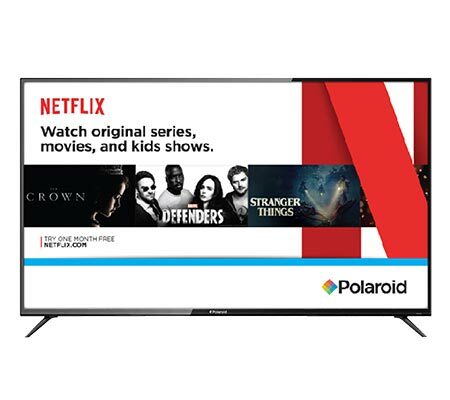 ﻿ Polaroid 4K Ultra HD Smart TV with HDR - 65"
Polaroid 4K Ultra HD Smart TV with HDR - 65"
Enjoy a home theater style experience with four times the resolution of a full HD TV. The Polaroid 65" 4K UHD LED TV has a stunning design, incredible picture detail and is packed with features. The integrated smart platform lets you access your favorite entertainment via apps built-in to the TV user menu.